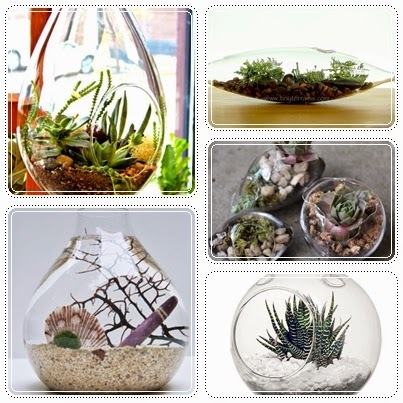 I love glass terrariums, I think there is something very beautiful about a miniature glass garden and most importantly, low maintenance as I most definitely do not have a green thumb and love plants that do not require alot of TLC. So, I went looking for a DIY Project to make my own and this is what I found on Instructables, a great little DIY Project site that I will be revisiting on a regular basis for some great inspiration. So now I also need to find the supplies listed in the project so I am off to Bunnings this week with my fingers crossed, although I am not sure I hold out hope for such cute little glass globes but maybe I can find something just as lovely. 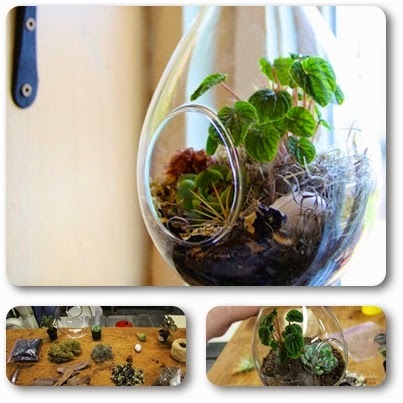 For those who are not feeling creative, or indeed are lucky to not be restricted by customs I have included some of my favourite ready made terrariums from Etsy below and a link to the stores that sell them. P.S. Hopefully I can post an update showing my finished Terrarium one day soon.